The awards, organised by Mid Wales Manufacturing Group and sponsored by Powys County Council, celebrate the best of and excellence of businesses throughout the county. More than 230 guests attended the event to see 12 awards presented to a range of small, medium and large businesses out of a total of 30 finalists. Trax JH Ltd design and manufacture wheel balance weights to a range of clients, including GM/Opel, Jaguar, Land Rover, Nissan and Renault, meeting their strict technical requirements. The company has developed production lines designated for clients and has secured new business over the past three years that has seen a significant increase in sales. Last year the company enhanced its quality and environmental activity to meet the strict requirements of its clients and moved from ISO 9001 to achieve both ISO TS 16949 and ISO14001. Adam Watkin, Managing Director of Trax, said: "We have grown considerably this year. We have won new contracts and introduced new business systems. I wish to pay thanks to every single employee at Welshpool and Newtown without whom we wouldn't be accepting this incredible award." 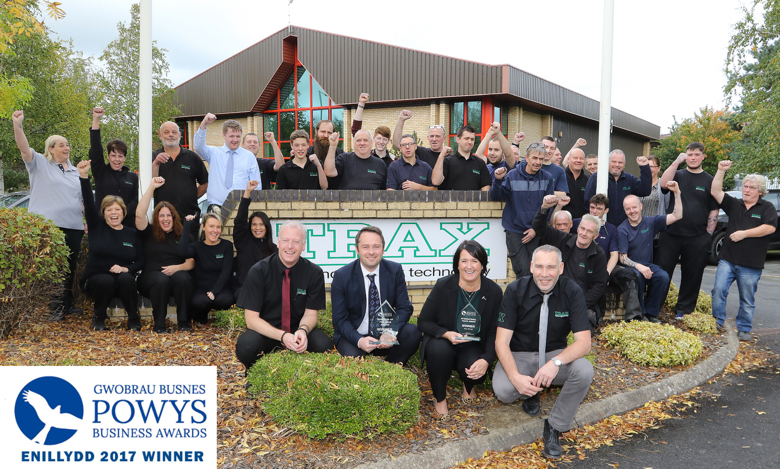 Trax also picked up the International trade award for its continued growth in exports which now represents 80% of the companies’ annual sales.